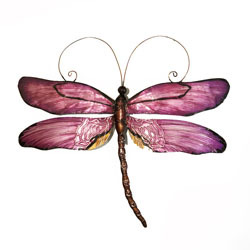 Purple is considered a color of royalty and wealth due to the rarity of the dye that originally produced it. Even though that no longer is the case, it still is considered a bold and rich color. The color is even more vibrant due to the strips of color created by the brush strokes against the capiz shell. 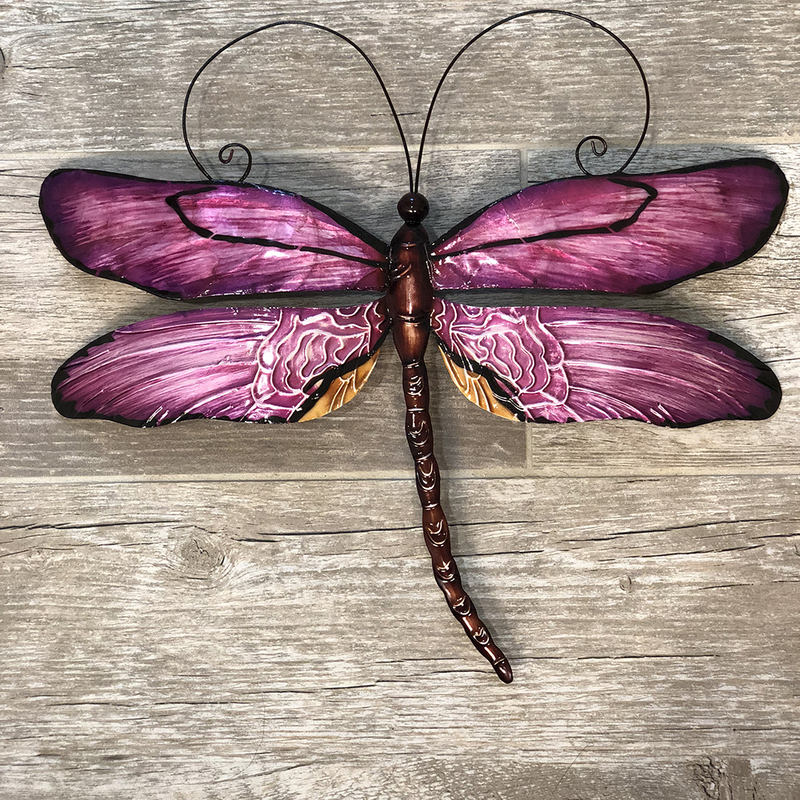 The artist complemented the predominantly purple colored dragonfly with oranges and reds at the base and a couple of white spots on each wing. 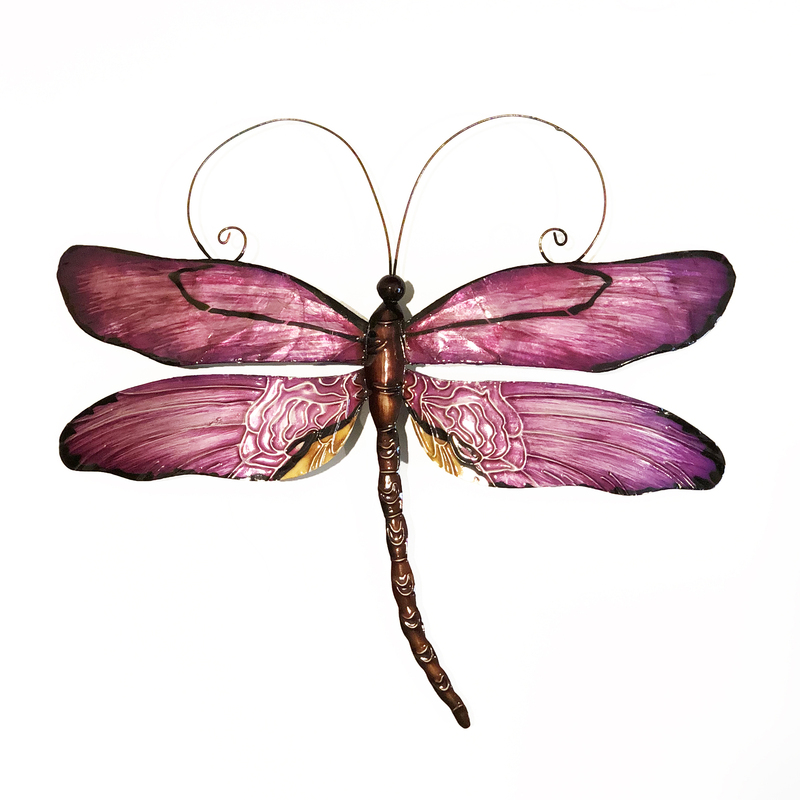 If your color is primarily purple or if it is just used as an accent, this dragonfly will complement any decor in your room.